NASA is planning to launch a milestone experiment involving growing plants on the moon. The target date is 2015, when the agency will deposit plants on the moon's surface. 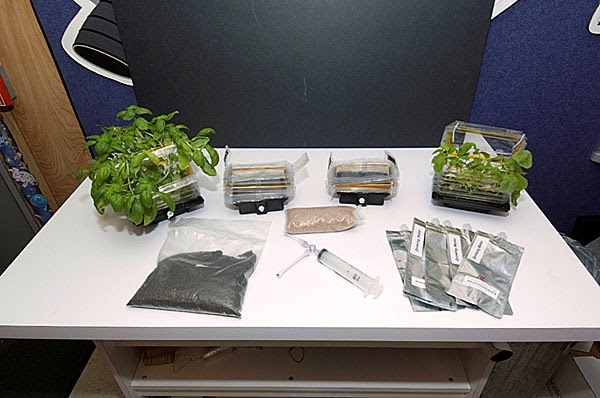 The initiative is being driven by the Lunar Plant Growth Habitat team. They intend to use coffee-can sized containers designed to protect the plants against harsh elements of the climate, and will also provide cameras, sensors, and electronics in order to relay information about how the plants fare back to earth. NASA's plan is "to develop a very simple sealed growth chamber that can support germination over a five to-ten day period in a spacecraft on the Moon." What will NASA try to grow? The containers will attempt to grow turnip, basil and Arabidopsis The latter is used often in plant research; Simon Gilroy, University of Wisconsin-Madison botany professor, has referred to the Arabidopsis as "the lab rat of plant biology." Will the life forms survive the lunar surface? NASA's plan is to find some answers when this "self-contained habitat," which will have a mass of about 1 kg and would be a payload on a commercial lunar lander, is on the moon, How it gets there is another interesting side of the story, because NASA is taking advantage of a parallel event to save costs significantly. As for the NASA plant project, after landing, water will be added to the seeds in the module a trigger would release a small reservoir of water wetting filter paper and initiating germination of the seeds. Air in the sealed container would be adequate for more than five days of growth. Their growth will be monitored for five to ten days and compared to Earth-based controls. The seedlings would be photographed at intervals. According to NASA, "We would use the natural sunlight on the moon as the source of illumination for plant germination as a first ISRU (in situ resource utilization) demonstration." NASA believes the effort will yield returns on two fronts, knowledge about plants and broader knowledge about life's chances on the moon. The information about the plants may help NASA better address the question if humans can live and work on the moon. In the words of NASA: "Can humans live and work on the moon? Not just visit for a few days but stay for decades? A first step in long term presence is to send plants. As seedlings, they can be as sensitive as humans to environmental conditions, sometimes even more so. They carry genetic material that can be damaged by radiation as can that of humans. They can test the lunar environment for us acting as a 'canary in a coal mine.'"